I’ve been working hard on this one, I admit! 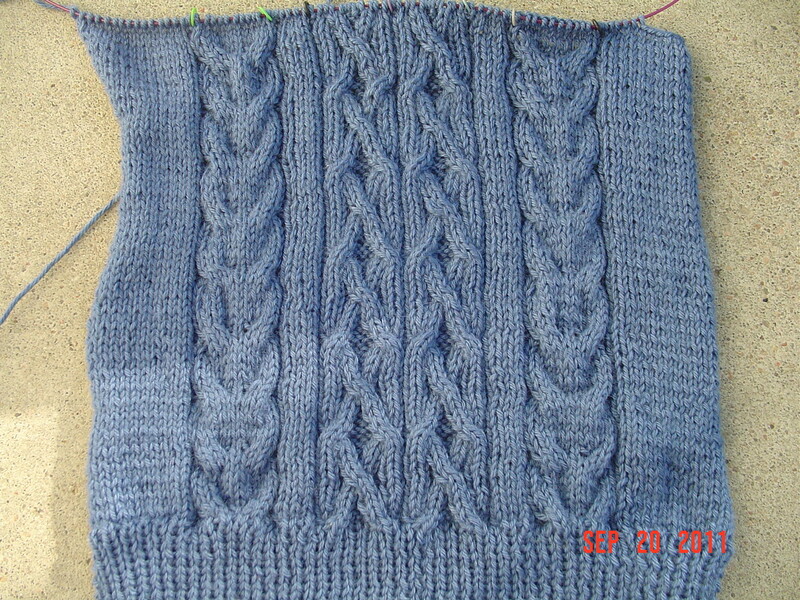 I am at the point on the back where I start the armholes. I lengthened the back considerably due to my height, I just didn’t think it would look very good hitting where it would if I followed directions. I am eager to get this one done and wear it, as I think that it will be a very comfotable yet classy piece for this fall. I am hoping to do some spinning tomorrow, and get some cycling in during the next few days, so I do believe that this one will slow down after tonight.